The Sonic hedgehog signalling is known to play a crucial role in regulating embryonic development, cancer stem cell maintenance and tissue patterning. Dysregulated hedgehog signalling has been reported to affect tumorigenesis and drug response in various human malignancies. 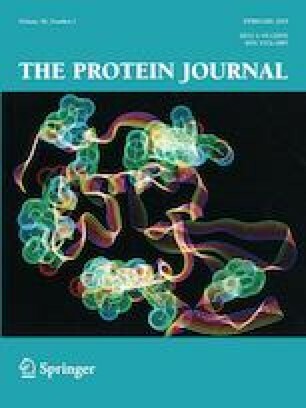 Epigenetic therapy relying on DNA methyltransferase and Histone deacetylase inhibitors are being proposed as potential drug candidates considering their efficiency in preventing development of cancer progenitor cells, killing drug resistant cells and also dictating “on/off” switch of tumor suppressor genes and oncogenes. In this docking approach, epigenetic modulators were virtually screened for their efficiency in inhibiting key regulators of SHH pathway viz., sonic hedgehog, Smoothened and Gli using polypharmacological approach. The control drugs and epigenetic modulators were docked with PDB protein structures using AutoDock vina and further checked for their drug-likeness properties. Further molecular dynamics simulation using VMD and NAMD, and MMP/GBSA energy calculation were employed for verifying the stability and entropy of the ligand-receptor complex. EPZ-6438 and GSK 343 (EZH2 inhibitors), CHR 3996 and Mocetinostat (HDAC inhibitors), GSK 126 (HKMT inhibitor) and UNC 1215 (L3MBTL3 antagonist) exhibited multiple-targeted approach in modulating HH signalling. This is the first study to report these epigenetic drugs as potential multi-targeted hedgehog pathway inhibitors. Thus, epigenetic polypharmacology approach can be explored as a better alternative to challenges of acute long term toxicity and drug resistance occurring due to traditional single targeted chemotherapy in the future. The online version of this article ( https://doi.org/10.1007/s10930-019-09832-9) contains supplementary material, which is available to authorized users. This work was supported by grants from the Symbiosis Centre for Research and Innovation (SCRI) and Symbiosis School of Biological Sciences (SSBS); Symbiosis International (Deemed University) (SIU), Lavale, Pune, India and Senior Research INSPIRE Fellowship (SRF) from the Department of Science and Technology, Government of India, to Miss Anshika Nikita Singh.